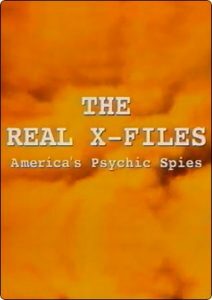 Since the 1970s, the American secret service has been intensively researching the existence and possible use of paranormal techniques in intelligence gathering and psychological warfare. The result of years of US Government-funded research at the renowned Stanford Research Institute (SRI) is the technique of Remote Viewing. This technique makes it possible to recognize and describe in detail things, persons, events and places independent of local and temporal boundaries. Dozens of military personnel have been trained as Remote Viewers. The work of these PSI agents is documented in detail in this film. For the first time, Pentagon and Central Intelligence Agency (CIA) senior officers, Stanford Research Institute (SRI) scientists and Remote Viewers talk about the amazing success of this secret military development.